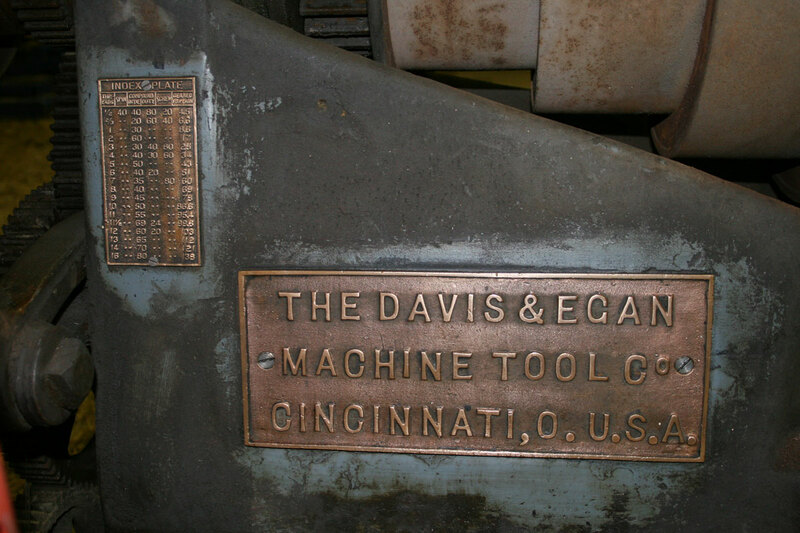 Davis & Egan Machine Tool Company briefly lived, after the dissolution of Lodge and Davis in 1896 until the formation of American Machine Tool Company in 1898. Lodge had left the company some time earlier and ultimately formed another machine tool company known as Lodge and Shipley. Although the names changed, the product line seemed to stay more the same than different. 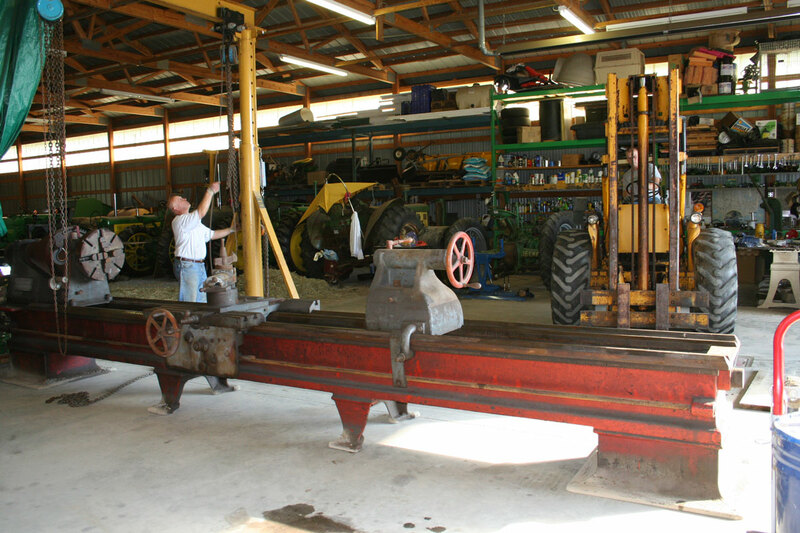 The photographs and information on this Davis & Egan lathe have been generously made available to me by Wynn Herron of Herron Farms who acquired this lathe to support his farm shop in New York. A careful review of it will disclose it is almost identical to my American Tool Works lathe but a larger model. 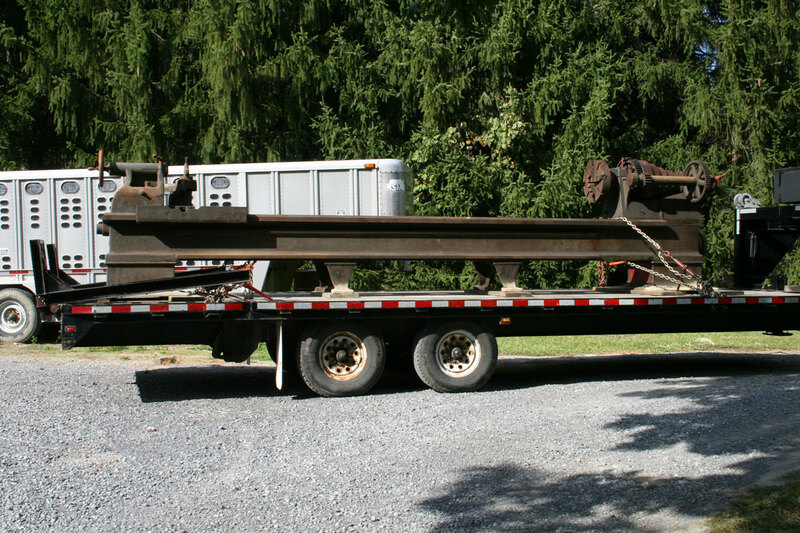 My ATW is a 30 inch lathe with 3 inch blocks in it giving it 36" of swing. This one measures 36 inches without blocking. The practical difference in capacity is insignificant, but what what I would expect is that the bigger unblock model might have a bit more travel in the cross feed to more easily reach the designed in additional diameter. Overall few differences have been identified between this Davis and Egan badged lathe and the ATW model. It is believed that both are successors to a Lodge and Davis design introduced in 1895. If you compare it to the photos of my American Tool Works lathe some differences are apparent. The ATW name is cast on the headstock instead of being affixed by a brass tag. The change gear tag is similar. The lever to engage the back gears is on a different end of the back gear shaft, and finally the Davis & Eagan doesn't appear to have a fully hollow headstock spindle. This was a feature that was standard in the 20th century, but was generally not seen in many 19th century lathes. 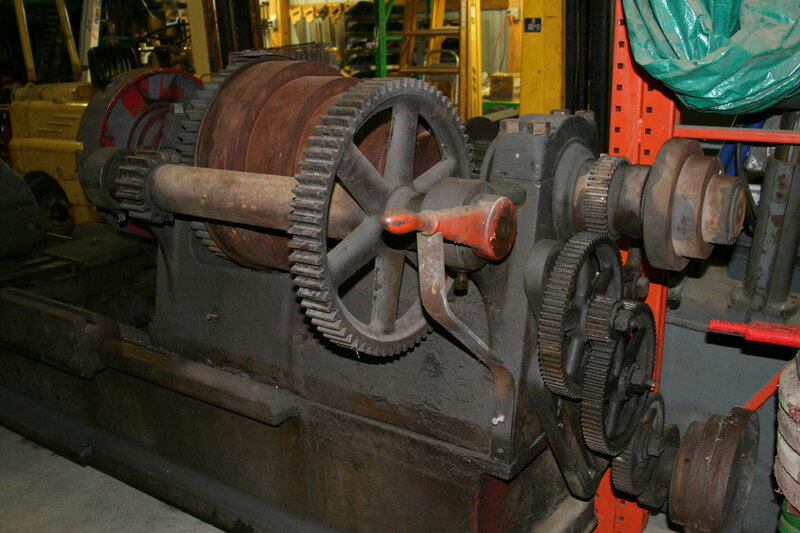 The location of the leadscrew inside the bed was a feature of this lathe maker, and makes some logical sense as the central leadscrew tends to pull the carriage straight, and the screw is in a protected position. 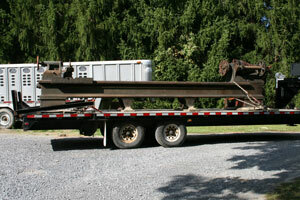 Disadvantages include the fact that you drop debris on the lead screw, and controls for the half nuts are difficult. Ultimately, with the advent of the thread gauge and quick change it became much easier to have the lead screw outside the bed and in the apron which has for much of the 20th century been standard.